On Saturday, July 30th we held our annual back-to-school ministry event, KidStock. The Lord blessed us with a beautiful day and provided all the needed resources for this wonderful ministry event. Families arrived by appointment and each school age child was given a nametag and backpack. Then the fun began! Families walked around playing carnival type games filling their backpacks with much needed school supplies. The day was filled with delicious treats such as cotton candy & snow cones, amazing clowns sharing God’s love through balloon art & laughter, fun filled inflatables, stories of God and His creation through the use of exotic animals by AnimalTales from western Kentucky, and numerous volunteers with hearts dedicated to Jesus and sharing His love. 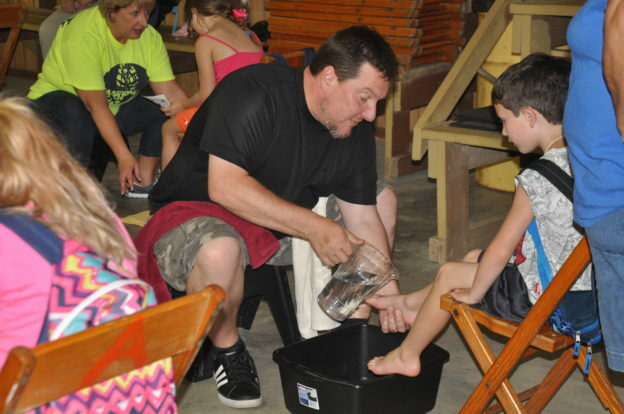 Throughout the day each family rotated into the building where they were presented a skit of Jesus washing the disciples’ feet. Then, in the solemn quietness of the moment, individual volunteers humbly knelt before each child, washed their feet, and placed a new pair of socks and tennis shoes on them while sharing the world’s most powerful message, the Gospel. Backpacks, pencils, erasers, crayons, scissors, folders, paper, notebooks, socks, shoes – all of these are just tools that the Lord has given us to use during the back-to-school season to share His love! 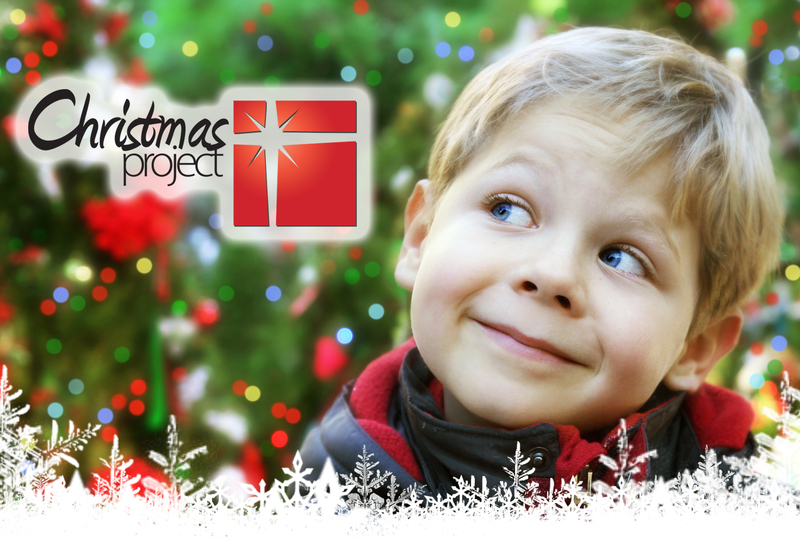 Our prayer is that as each child continues to use these items, they will be reminded of who provided each of them and why. This entry was posted in The Footprint on October 10, 2016 by WebManager. According to endhunger.org, each year, well over 100 billion pounds of food are thrown away in this country. Some estimates from 2009 indicate that up to 20 percent of America’s entire food supply goes to waste. At the same time, there are 49 million people, including more than 16 million children, who are at risk of going hungry. Gleaning—the practice of collecting and donating excess foods—helps simultaneously address these pressing issues. Importantly, it also gives low-income individuals access to fresh and locally grown foods. In fact, more than 23 million Americans, including 6.5 million children, live in low-income neighborhoods where affordable, quality and nutritious foods are inaccessible. In an effort to combat hunger issues in the rural community of McDowell, Kentucky, the IMPACT (Influencing My Peers As a Christian Teen) Youth Group from McDowell First Baptist Church decided to create a “Gleaning Garden.” Toward the end of May, forty youth and adults came together, tilled the land and planted the seeds that would later bring forth corn, tomatoes, cucumbers, green onions, green beans and other fruits and vegetables. 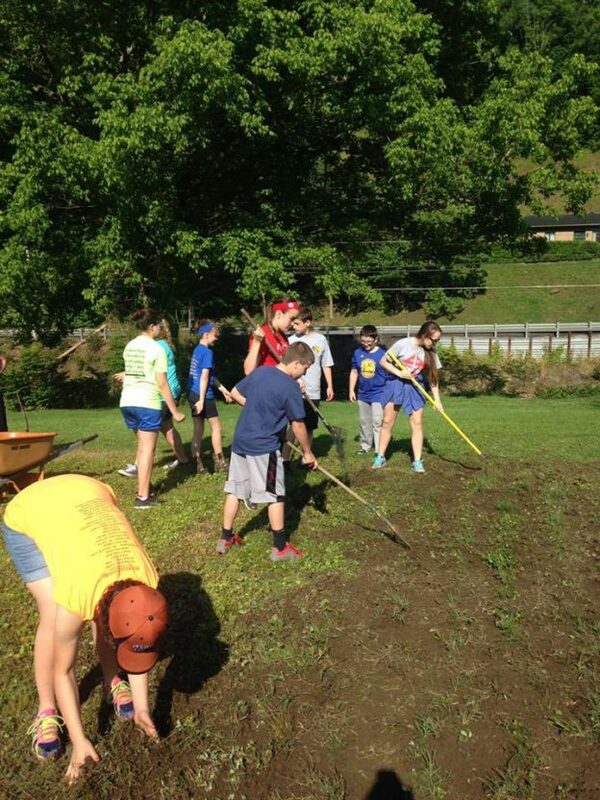 The care and upkeep of the garden was performed by the youth in shifts throughout the impending months. The entire harvest was delivered to GAP as it became ripened and able to be picked. Then, the fruits and vegetables were distributed by the missionaries at GAP accordingly.